Washington - Republicans have vilified Nancy Pelosi for years as a San Francisco liberal and now they’re trying to portray her as a captive of resurgent left-wingers in her Democratic Party. Pelosi has always been an annoying snake to anything involving the republicans. She has mastered the consistency of partisan politics, which is evident if you chart her course while in Congress. She has a mamoth task in front of her today. The latest cancer to the USA is the crop of Democrats that are clearly anti-American, and emanate from the halls of socialism, love of terror, and immorality. In combating them, she will need to take a stance that pulls hard against them. This will alienate them, and feed divisiveness to the Dems. If she engages in any form of compromise with Trump, they will yell louder, and deepen any divide within their party. I am happy to see this turmoil for her. And her age is evident in her performance. She is either manifesting early signs of dementia, or she has been developmentally handicapped from birth. This might make for an excellent debate. 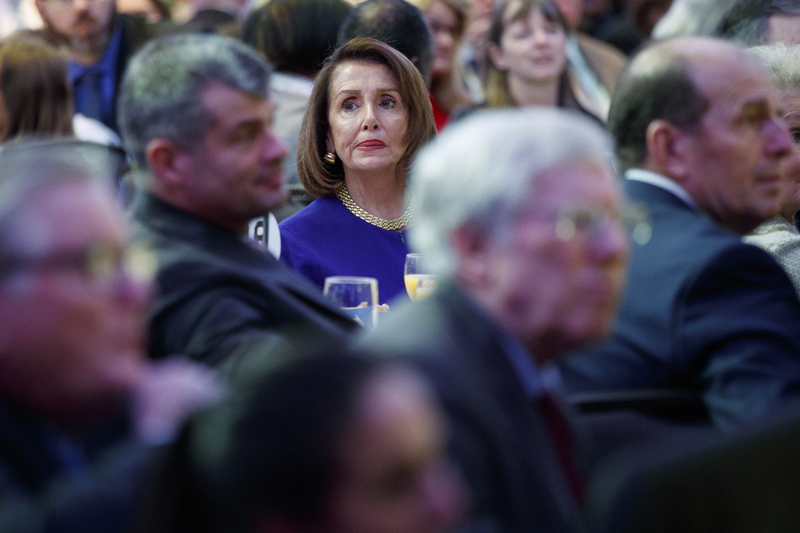 “ Pelosi has always been an annoying snake to anything involving the republicans. She has mastered the consistency of partisan politics, which is evident if you chart her course while in Congress. She has a mamoth task in front of her today. The latest cancer to the USA is the crop of Democrats that are clearly anti-American, and emanate from the halls of socialism, love of terror, and immorality. In combating them, she will need to take a stance that pulls hard against them. This will alienate them, and feed divisiveness to the Dems. If she engages in any form of compromise with Trump, they will yell louder, and deepen any divide within their party. I am happy to see this turmoil for her. her age makes her a greater snake. i don't think its dementia. Its experience. i hate her but she is shrewd.